Finally got my #1 off of the list. Picked up a Walther K43 AC44 (Jan '45) all matching panel cut "q" block off of GB last week. Was on a role after I picked up a BYF 42 K98 the week prior. Kept seeing prices going up and no sight of new surplus coming in so time to buy. 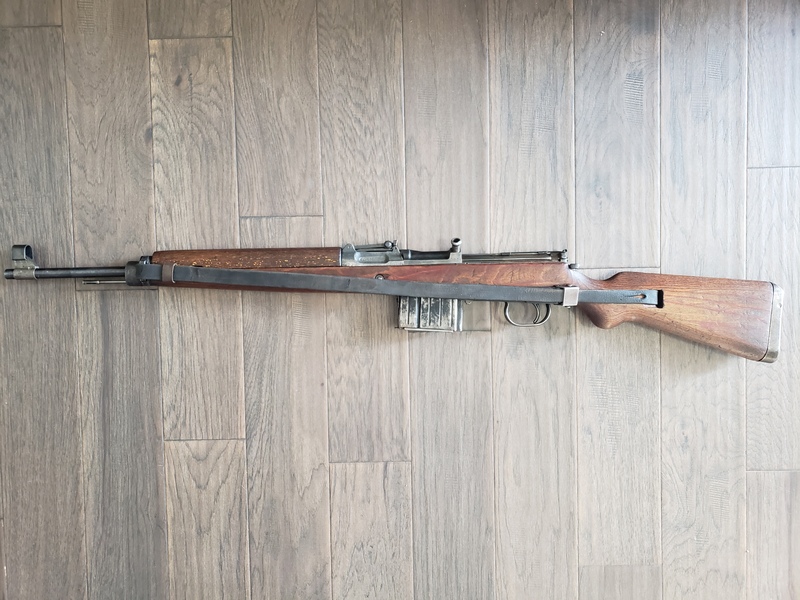 Now my dilemma is that the k43 is all original w/ an un-sanded stock. 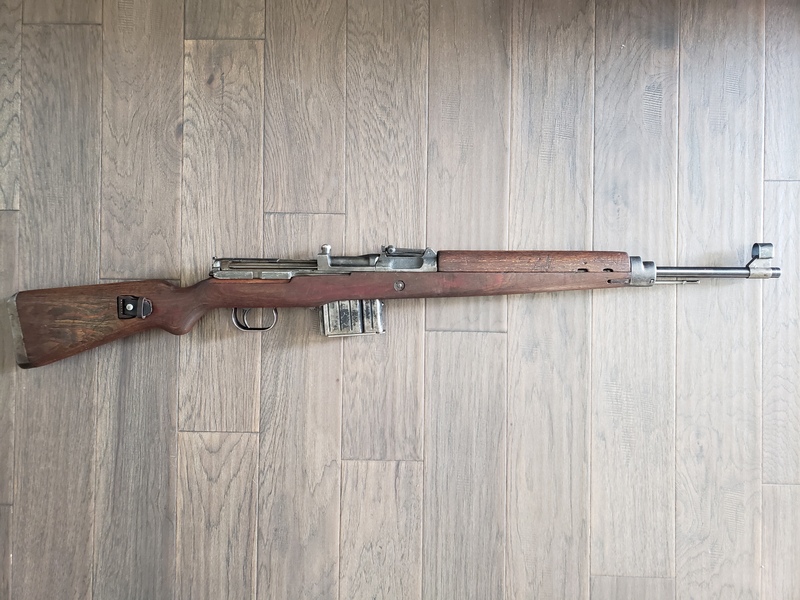 I spent an extra 1k for an original rifle and now looking at it I don't know if I want to shoot it a whole lot since it is in the collector grade and K43s are known to be self destructive over time. I may end up spending another 2k+ for a Frankenstein shooter... Front sight is also a bit canted and I'm not sure if I want to try to correct it or just leave it as is. Suggestions? No, if this one is all original there’s no way I would shoot it. Original rifles are getting really hard to locate. A “panel cut receiver” is even harder to find. I was really fortunate to find one from a felow member here but they don’t come up for sale often. Yes, I agree on getting one that has been jacked with and shoot that. But, get a shooter’s kit so you can preserve the shooter. It will self destruct eventually if you don’t. Thank you for sharing yours with us. I had one report of yours as it was on Claus Espeholt’s serial number listing. It just had basic info on the rifle. PS: Yours is the second HIGHEST reported ac44 known. Only one other actually known after yours (K.43 ac44 #5545q). There is one other higher one but it was only reported, so not confirmed (K.43 ac44 #8172q). So yours has a little more prestigious. Very nice and congratulations. I would not shoot it either. Expensive and tough to find. Nice original look to it. Don't even think about shooting it. I’m suprised I didn’t have this one listed before. Especially after this statement in his narrative “Original unsanded stock.”. Last edited by Tiger 2 Tank; 03-10-2019 at 05:12 PM. But, yeah, if this is good and all matching, I would not shoot it, not worth the risk! To hard to find, and if you break a matching part, or worse yet really kaboom it, its done. The area at the recoil lug is one of the first places to look for evidence of sanding. When the corners are not crisp and have a “rounded” appearance, that suggests some sanding or steel wooling has occurred. The next area is the stamps in the wood. And, the next are the “mill marks” in the wood that occur during manufacture (look to see if present or not). 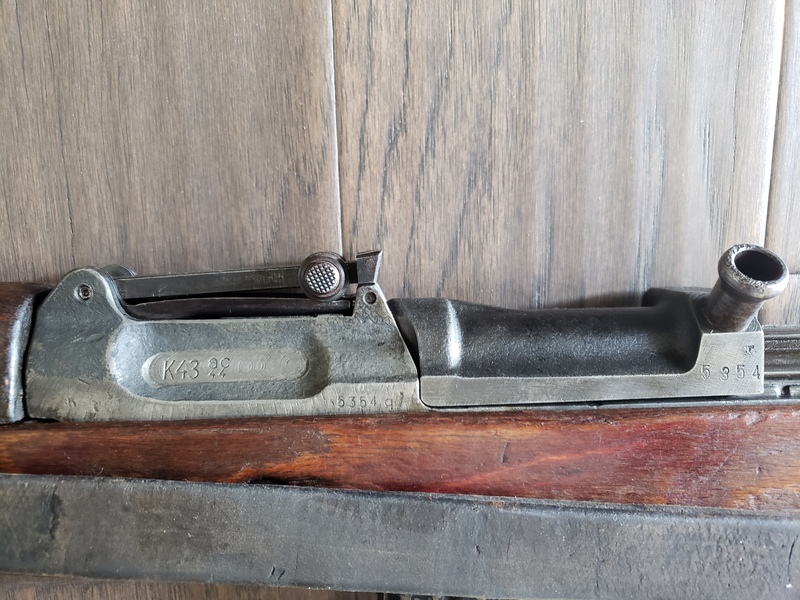 It looks like something happened to the right side of the stock as the top portion is missing and you can see the receiver. Last edited by Tiger 2 Tank; 03-10-2019 at 07:23 PM. The photo is not mine and is on an ac45 d block rifle that belongs to one of the forum members here. Last edited by Tiger 2 Tank; 03-10-2019 at 07:26 PM.